From time to time, we get patients with more than 2 insurance policies. For some specific treatments, we actually prefer to submit the claim to patient's 3rd insurance, or maybe even the 4th, 5th, etc. ClearDent makes it easy to do that, provided that you inform the patient that for the 3rd insurance and up, a manual submission is required. Further, from a collection efficiency perspective, you may also want to advise the patient that you will collect the difference, and have the insurance pay the patient directly for the 3rd insurance and up. 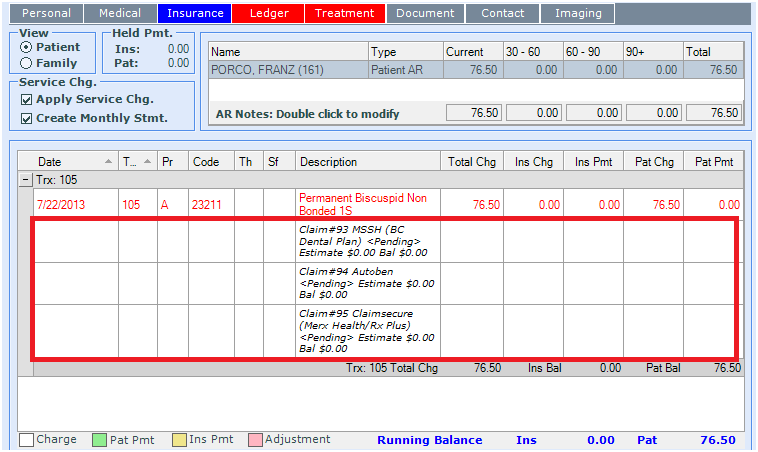 Now without further ado, let's see how ClearDent can help you manage patients with more than 2 insurance with ease! 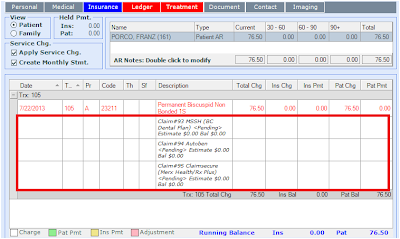 NOTE: the patient name shown in the example screenshots below is randomly generated. It is a pure coincidence if you have a patient with a very similar or same name in your practice. Bonus: you can repeat Step 5 and 6 if the patient has a 4th policy, and even for the 5th, 6th, 7th, and so on - we think you get the idea :-). ClearDent Version 9 has now been officially released, and all existing customers are eligible to upgrade to the latest version at no cost. Requests for upgrades will be handled on a first come, first serve basis, subject to our support team's availability. We've updated the training videos on our website to help you familiarize with the new features and changes before you receive your update. While the changes are incremental and easy to learn, we want to ensure you have some materials to help you get started. As well, be sure to check out our events listing page to see if there is a local training class in your area. 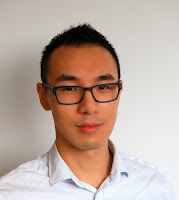 In order to future-proof ClearDent and provide apps for SmartPhones and Tablets in an increasingly connected and mobile world, we have to constantly move forward and take advantage of the features in new operating systems. The decision to end support for Windows XP with version 9 is not only due to continuous decline of its usage amongst our customers year-on-year, but also the fact that the operating system itself will no longer be supported by Microsoft after April 8, 2014 (see Microsoft website for details and find resources to help you plan your upgrade). Continuing to use Windows XP past Microsoft's official end date will create an insurmountable challenge to our customers, as those wanting to add new hi-tech dental equipment or new computer peripherals will find the manufacturers have started moving away from Windows XP. Moreover, securing the office network will be more difficult, as Microsoft will no longer create patches to tighten up security loopholes in the operating system that hackers and computer viruses can exploit. For more information on challenges after the end of Windows XP support, please take a look at this article. As such, we believe it’s important to invest in new technologies, and encourage our customers who still have some or all of their computers on Windows XP to immediately plan an upgrade to Windows 7 or Windows 8.1 (releasing on October 18), and hopefully complete the transition in the next 6 months. If you are not ready to upgrade your Windows in the short term, please do not worry. ClearDent version 8 works perfectly on Windows XP, and ClearDent's software support policy states that we will continue to fix any reported bugs for the current version and one version prior, which are version 9 and 8, respectively. Therefore, ClearDent version 8 will continue to work with Windows XP for at least the next 12 months. However, we still urge you to start planning for an upgrade as soon as possible, and preferably complete the upgrade in the next 6 months. To see the latest system requirements, please take a look at our specification sheet. Alternatively, you can contact our support at support@cleardent.com for some advice. 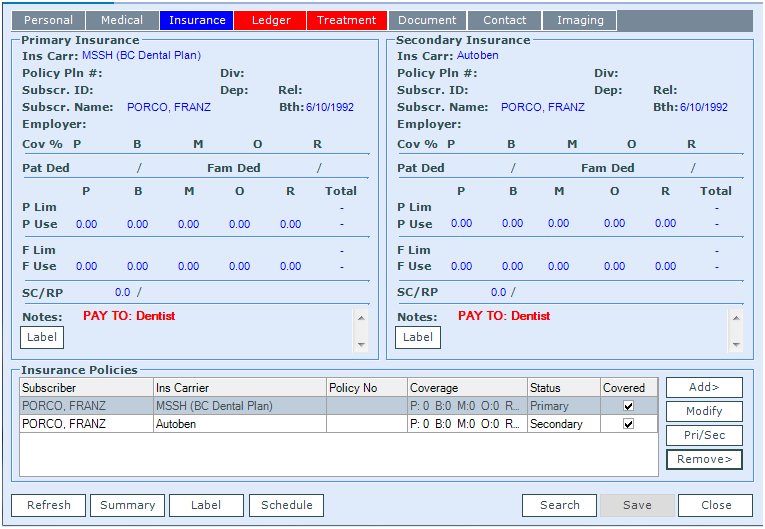 In version 9, we have added new security settings that will benefit dental practices of any size. These settings will be turned on by default to ensure no interruption to your day-to-day work. However, we strongly advise you review the new security settings by looking at our training video titled "V9 - New User Rights." If you have questions or unsure on the best practice to adjust the user rights, please feel free to contact support@cleardent.com for some advice. Our support may put you in touch with a trainer or your account manager if we feel a refresher on the overall security model in ClearDent will help better plan and take advantage of the new security options. We'd like to thank you for participating in the annual performance survey. The tally of the survey results can be found by going to our home page > support> survey. Based on your response, we not only have received a lot of compliments, but also at the same time a lot of very constructive feedback that will help us improve. We will strive to incorporate your feedback and serve you better, and aim to get an even better score next time! Again, thank you for your participation. Your open dialogue with us is greatly appreciated. We're happy to introduce you the newest additions to our teams to better serve you! 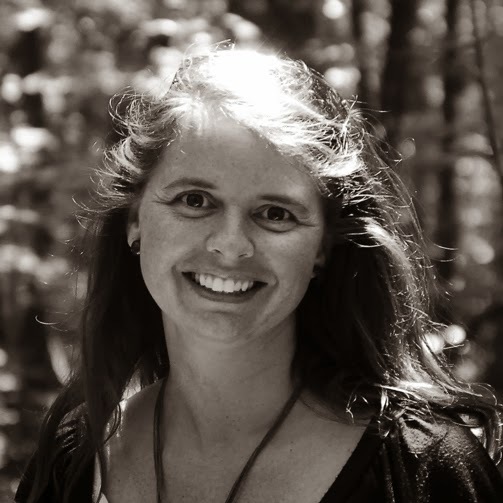 Reagan is an experienced marketing professional, who will be focused on the promotion and coordination of events. You may be thinking: How does a marketing person relate to you? Quite simply, marketing helps connect our team to our customers, through events and training seminars. Reagan is the one making sure that you’re connecting with us in more ways than one. Of course, if you know anyone who's not currently using ClearDent, but have said to you that letters, emails (including this one that you're reading right now), brochures, etc. from ClearDent are elegant, clean, and easy to follow - that's Reagan's work right there :-). Glenn is a customer focused technology specialist. 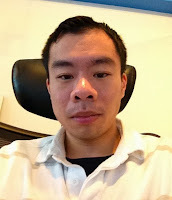 He has education and work experience in arts, communication, and technology. This unique combination of education and work experience is definitely a plus for his role as ClearDent support. In fact, in his past experience, he realized that a lot of times, listening is more important than talking. He believes to in order to solve your problem, it's important to listen for the root cause of your issue, and branch out from there. It's this listening "for the root cause" technique that enables him to resolve your problems in a way so that they don’t resurface. He believes that this approach, which could potentially result in longer call durations, will overall ensure you have better satisfactions with his service and ClearDent. Please look forward to be talking to him in the next few days! Our webinars are a hit - it's very cost effective and it's easy to sign-up and participate. If you'd like to check out the details of each webinar, the date and time, and sign-up online, please visit our webinars listing on our website. 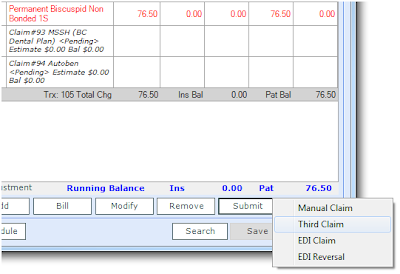 The Letter Manager in version 9 has been completely redesigned, and fully integrated into Charting. Now you can set up custom checkboxes when writing letters or progress notes, and the system literally reads anything from the database to write the entire letter or notes for you. Join this webinar to master the template setup so that your Letter and Progress Notes writing is as easy as 1-2-3. 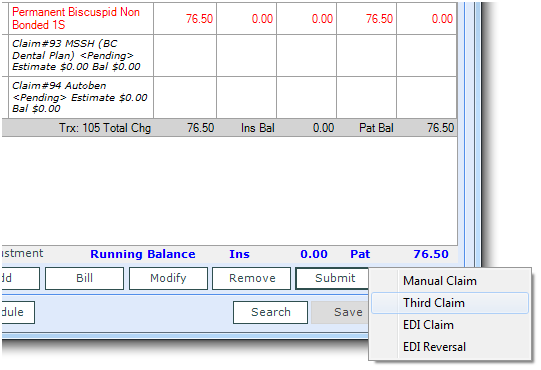 A new module in version 9 of ClearDent. It allows you to track your downtime, your new patients, and your case acceptance at a glance. Best of all, it's accessible securely via your SmartPhones or Tablets, so you can review them anywhere in the world as long as you're connected to the internet. 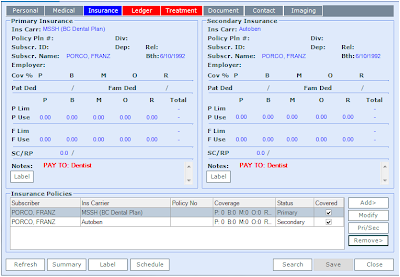 To be introduced in early 2014 (the webinar date is in 2014 as well), Mobile ClearDent will let you access your Scheduler, Charting, and Imaging via Tablets and over the cloud. In this webinar, we will show you how each of the mobile apps are designed, the best way to use them, and also how we implemented the system so that our whole approach is compliant, secure, safe, and easy. Again, to find out more details about each of the webinar, the date/time, and sign-up, please visit our webinars listing on our website. We're offering a FREE, 1 Hour In-office Health Check in Winnipeg and the Greater Toronto Area this November. Shelley and one of our experienced trainers will be at your office to go over how you do your Scheduling, Billing, Recall, Charting, Imaging - basically answering any questions you have regarding any process, or perhaps showing you a quicker way to achieve your goals. In other words, the Health Check is our way of ensuring our customers know about our recommended best practices and a chance for us to see how you use our software in person. If there are suggestions for improvement, we get to see your thoughts in person first hand rather than trying to figure it all out over phones and emails. In the end, we strongly believe this initiative not only brings exceptional value to our customers as the trainers are making sure you're using ClearDent in the right way, but also brings extraordinary value to us - as we can only improve our software if we know what our customers want exactly. By meeting in person and learning the fine details that are easy to get lost in translation over phones and emails, we will know better how we can increase the value of our software and bring them to you in future updates. But hurry, this Health Check has been very popular in the past, and there are limited spaces available. Sign up using the following forms as the booking will be taken on a first come, first serve basis. Lastly, don't forget to follow us on one (or all) of the social media networks below to stay up-to-date!